After a rocky start when they were introduced to the market decades ago, bread machines have come a long way. Today, it has come to the point where the bread they make is getting pretty close to bread that comes out of a traditional oven. 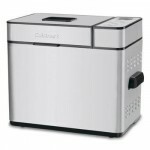 But a proliferation of models and brands makes it hard for anyone to pick out the best bread maker from the crowd. 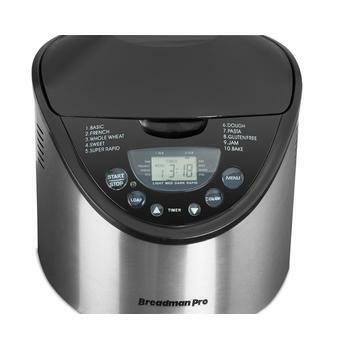 In this bread maker review, I will discuss some important features to look for in the best bread maker and discuss one example, the TR875 from Breadman. 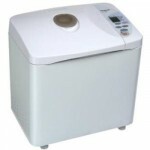 Modern bread machines have a variety of features, but the biggest advantages they have are in the area of convenience. The highly recommended bread machines are usually programmable. What does programmable means? 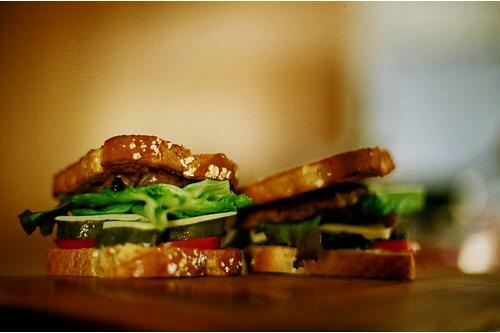 It means that they can be loaded with ingredients and be scheduled to have bread ready at a certain time. The advantages of this feature are obvious. First, it removes a lot of the time and effort that the traditional breadmaking process demands. On top of that, good bread makers have different options to customize the bread, from crust color to gluten-free and whole wheat options. To be a contender for the best bread maker, a machine needs to add a little extra. I will get into that further in the bread maker review itself. Bread machines also need to be consistent. Nobody should have to worry about whether their machine will turn out decent bread every time or a sloppy mess. Does Breadman TR875 Has What It Takes to be the Best? 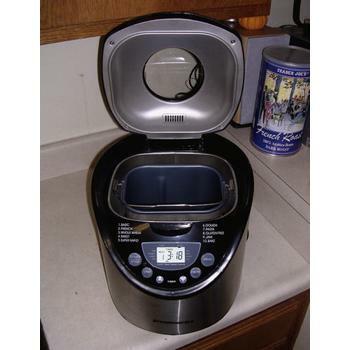 Now to get into the bread maker review of Breadman’s TR875. This machine has a maximum loaf capacity of 2 pounds, which is quite standard. 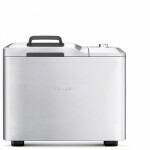 One thing that makes Breadman TR875 more popular than its TR520 sibling is its stainless steel body. The stainless steel body gives it a more solid look and feel compared to the plastic body used in its lower priced sibling. Stainless steel appliances are also the more preferred choice among modern and contemporary homeowners. 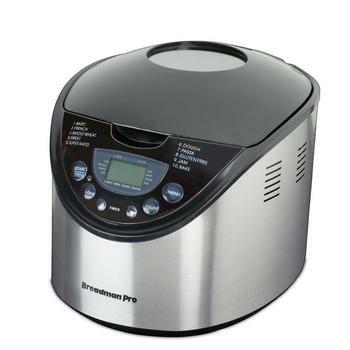 This popular bread maker comes with an LCD screen for programming and a viewing window. 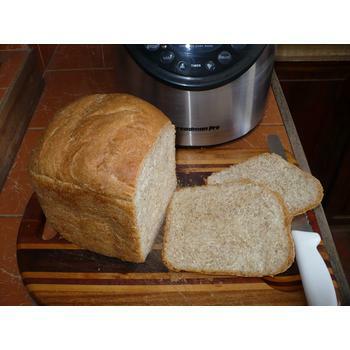 At 15 pounds, it’s a little heavy but some owners like it because it gives them a sturdy feel that one can get usually from the expensive bread machines. One thing that you may want to take note of is the care that should go into the cleaning. Be sure to hand wash it and not let it soak in soapy water for too long. Doing so could damage the nonstick surface. The TR875 can be programmed to bake up to 15 hours in advance, so it’s possible to have fresh bread ready for the morning with a little planning the night before. It also has some of the bells and whistles I alluded to earlier. The first is a jam setting. Lots of bread makers have settings for dough and rapid bake like the TR875, but the jam setting is a unique touch. A bell rings to notify the baker when to add extra ingredients like nuts, raisins, or fruit to the dough ball. A few customers who bought the Breadman TR875 reported that the baking paddle may be a little too large. It tends to rip holes in the bread loaf when you take it off after the baking process is completed. Based on the suggestions shared by other baking enthusiasts, the best way to address this is to let the bread cool before removing the paddle. If you follow through the discussions going on in the community, you’ll discover that you should let your bread cool down before cutting it. 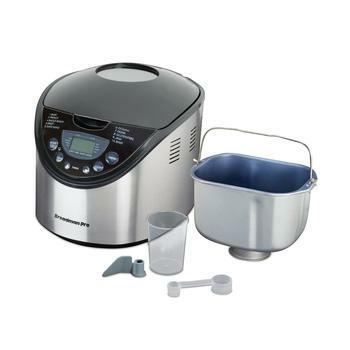 This is so that the moisture and gluten settle properly. Early cutting can lead to toughness. Aside from this, there is no general complaint from users about this machine. Is Breadman TR-875 Worth Investing? While this design flaw might remove it from contention for the absolute best bread maker on the market, I hope this bread maker review has shown that the TR875 is definitely above average when it comes to features and options. With a 1-year warranty, there should be no concerns about the quality of the machine’s parts and its reliability. For an introductory bread machine at a reasonable choice, Breadman TR875 2-pound bread maker is certainly high on my recommendation list. It has the quality and versatility to serve as a daily-use machine, and provides a glimpse into the exciting world of quality bread makers. Looking for non-stainless steel alternative instead? At similar price range, Panasonic SD-YD250 would be the recommended alternative to consider.